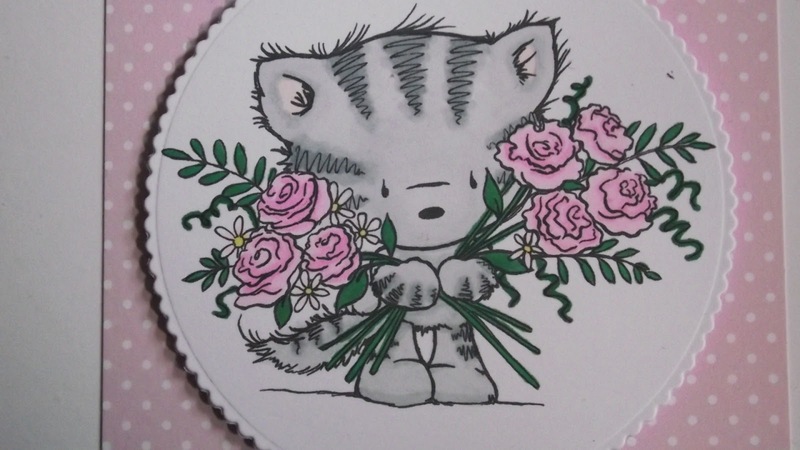 Here is another image from Wild Rose Studio, this cute little cat is ideal for lots of occasions such as Mother's Day, Congratulations, Sorry You're Leaving or Thank You. 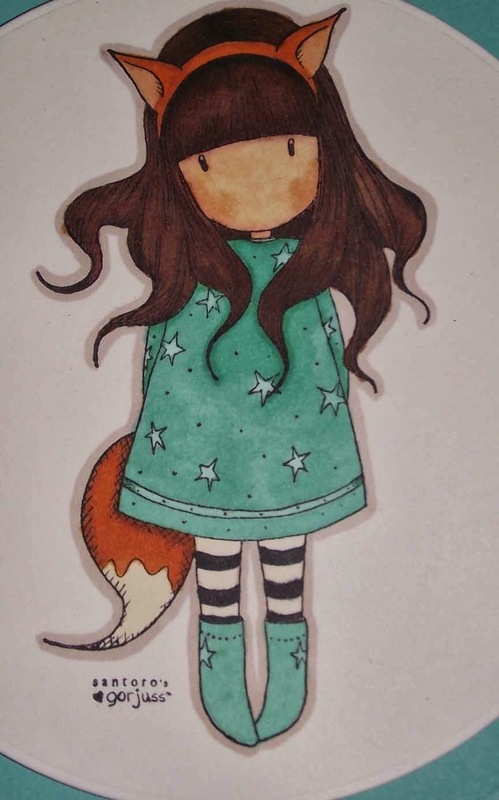 On this occasion I used it for a friends birthday card. 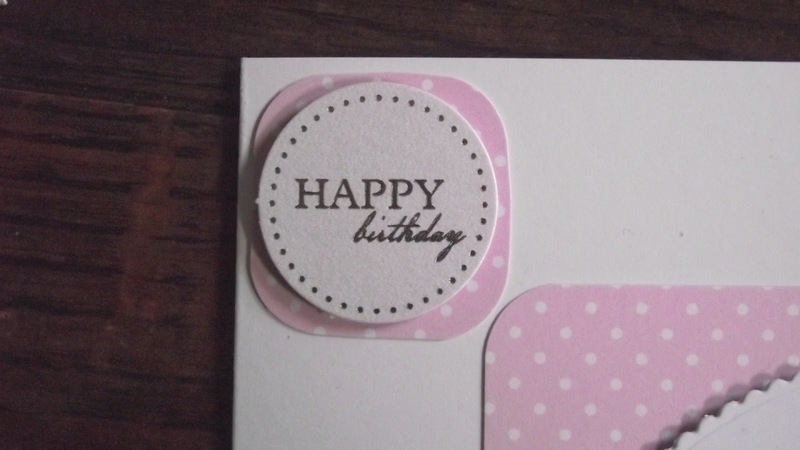 I then cut a square of the beautiful pink spotty card from Anna Marie Designs, I rounded the corners using my Xcut corner rounder punch.I then stuck this the the bottom right hand corner of my card blank. 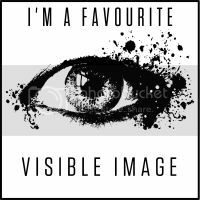 I used foam pads to mount my image onto the spotty card. 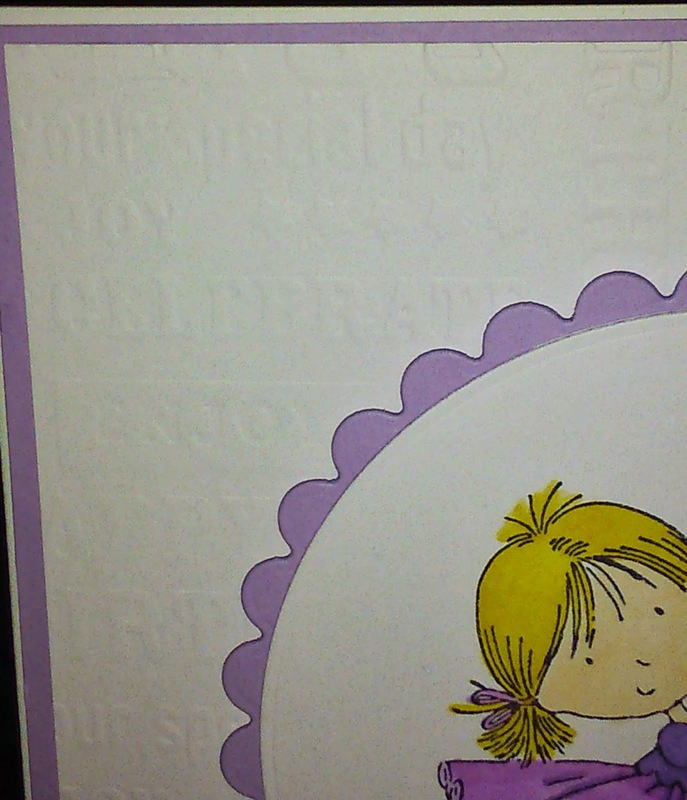 Finally I added a smaller piece of the spotty card in the top right hand corner and put a small round birthday greeting on top of this. 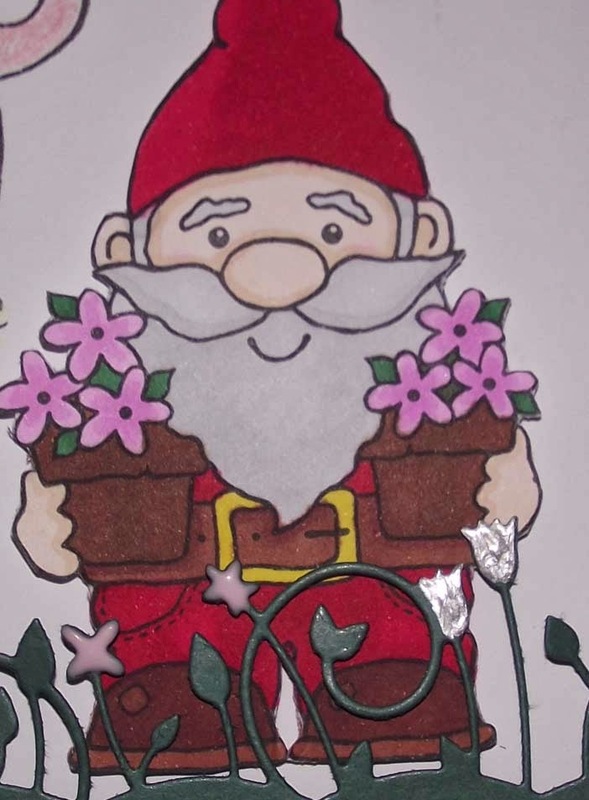 This is a card for my boyfriends Dad who is very green fingered. 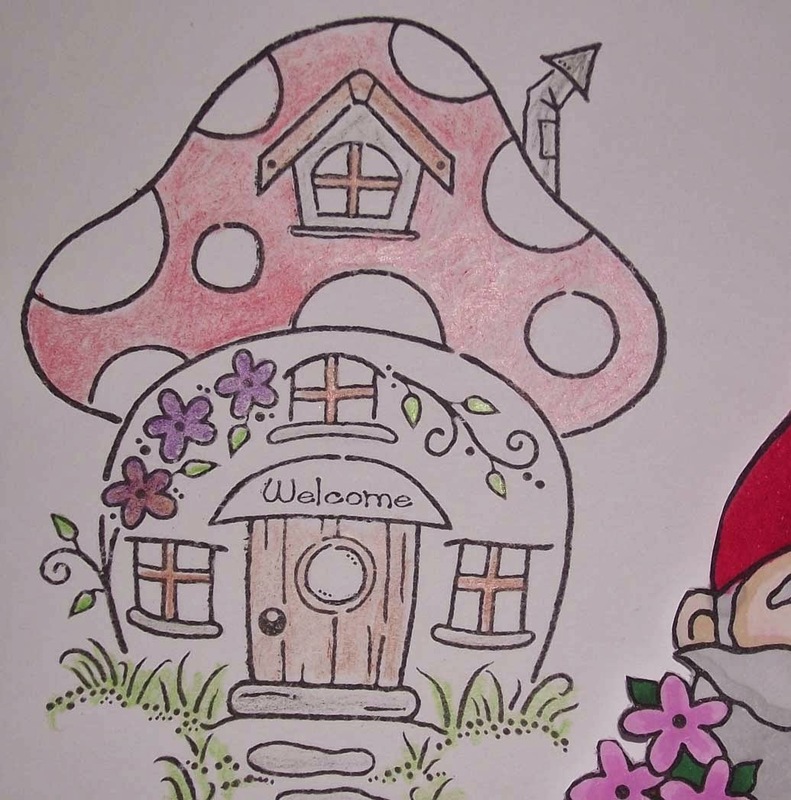 Both the gnome and the little toadstool house are Woodware stamps, as regulars to my blog will know I ama big fan of the Woodware singles stamps, they are clean images and have some fantastic designs. 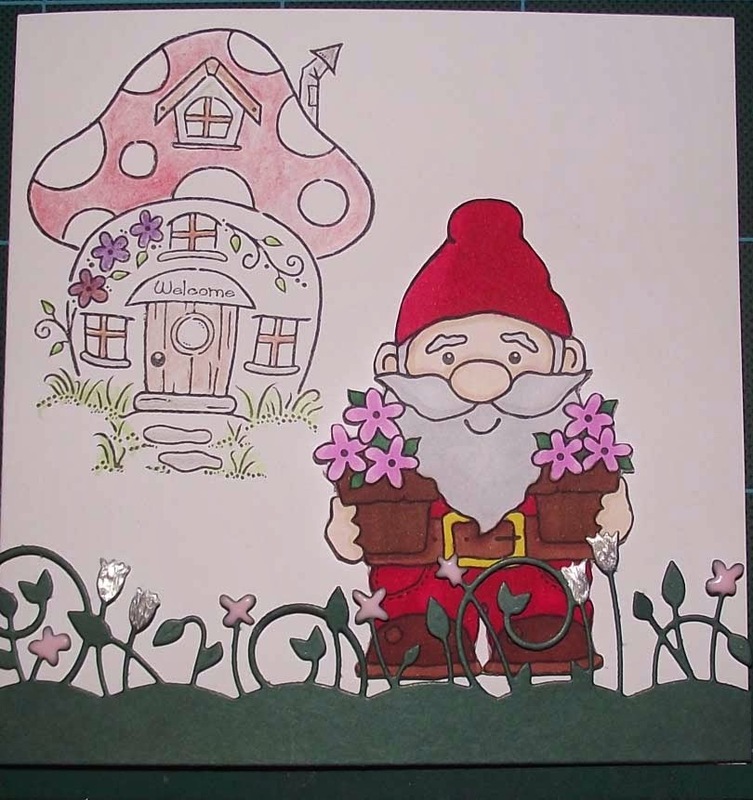 I then stamped the toadstool image onto the card blank and coloured it using simple pencil crayons (I didn't want to take away from the gnome). Finally I used the Memory Box 'Spring Border' die to create the flower border at the bottom, adding a little 'Liquid Pearl' on the flower heads. 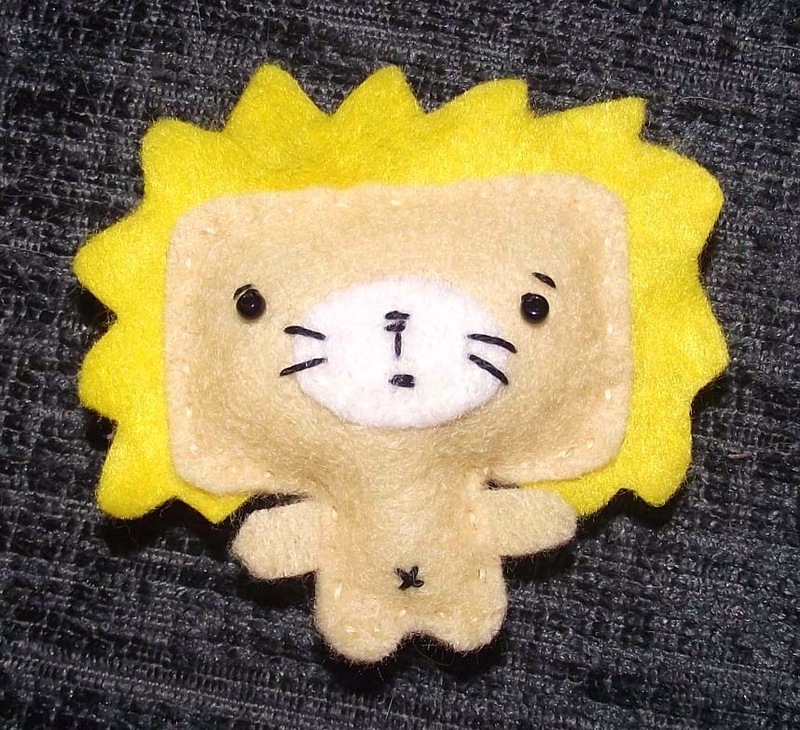 This is part of my 'Stop Hoarding It' resolution. 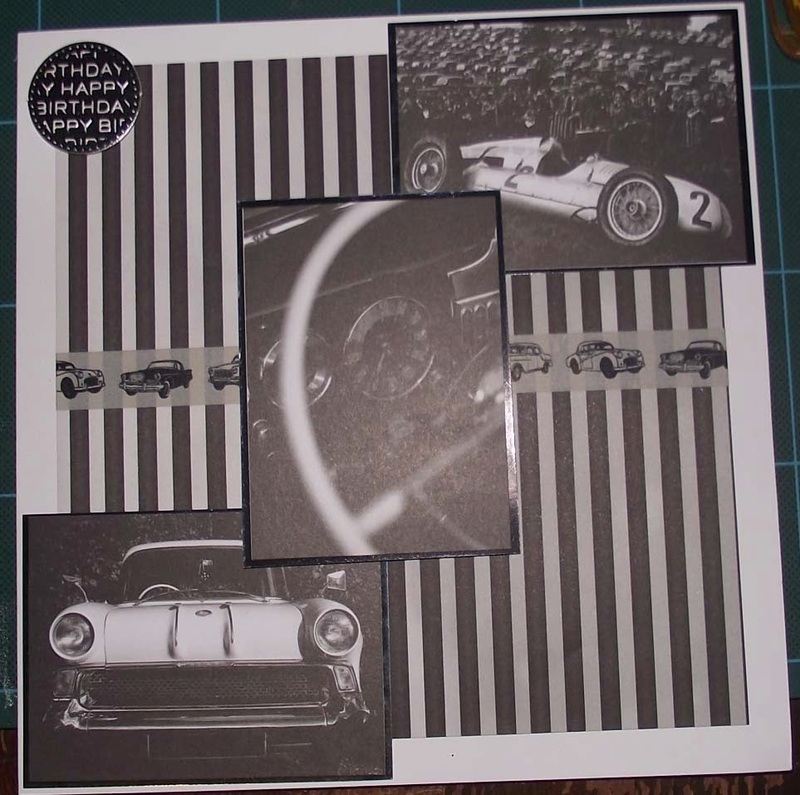 It was my baby brothers birthday a few days ago and he is a bit of a car nut so when I found these images stuffed in a drawer I knew what to do with it. 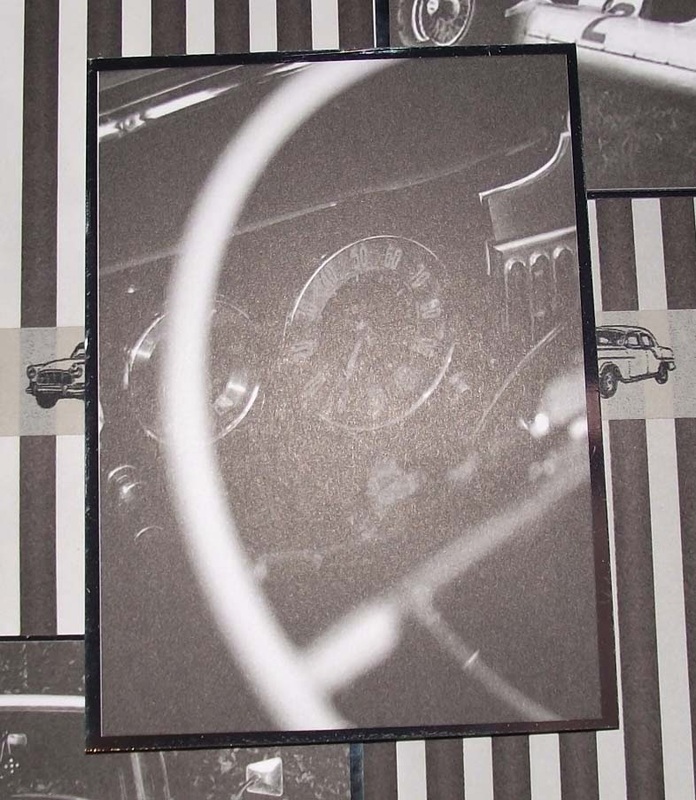 They were from a sheet of black and white car images from Kanban Crafts. 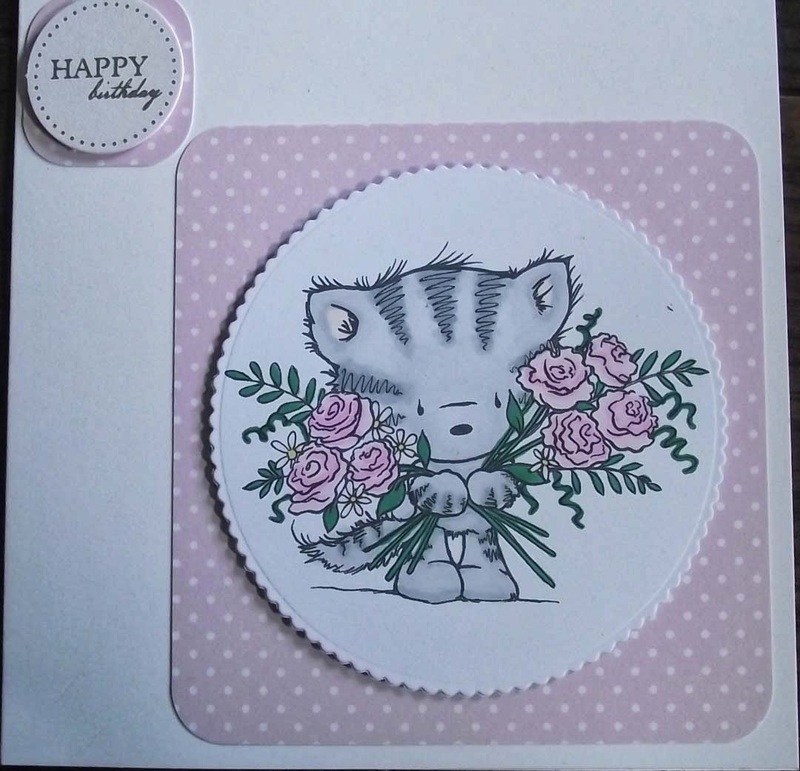 I mounted each image onto silver mirror card, I then cut a 7x7 striped backing paper from an A4 sheet that had come with a Gorjuss girls decoupage and added a piece of car washi tape along the centre. I stuck the backing paper to an 8x8 card blank, then mounted the three images onto the finished card. 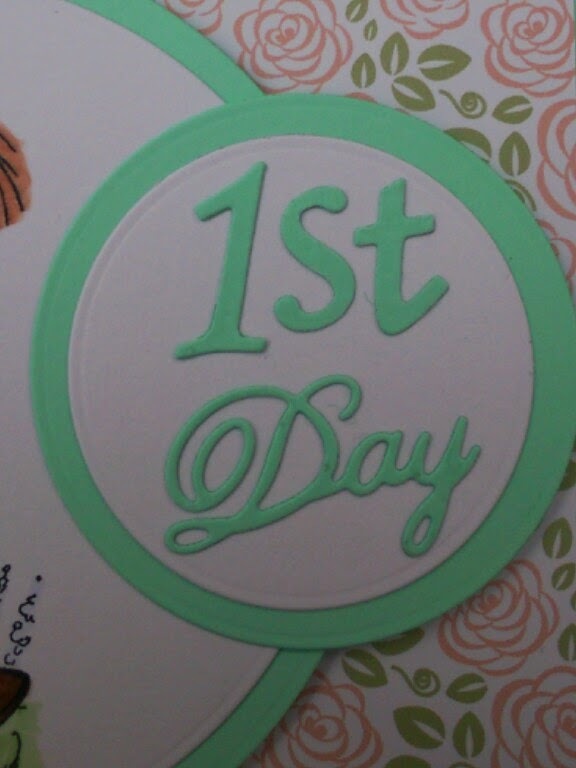 Finally I added a little silver round greeting. 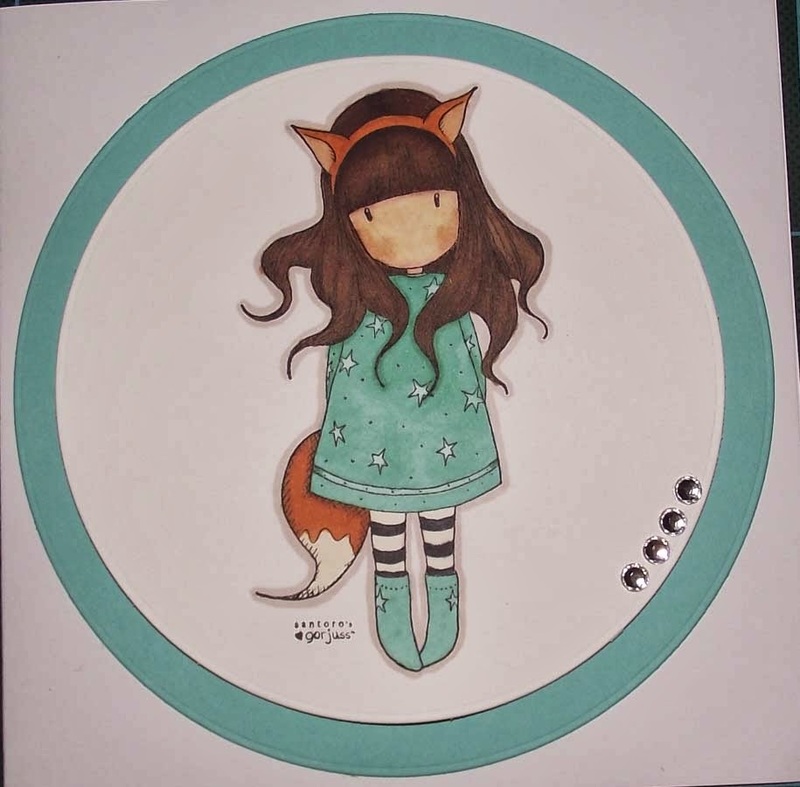 Well done to Crafters Companion for introducing the totally adorable Angelica and Adam collection. 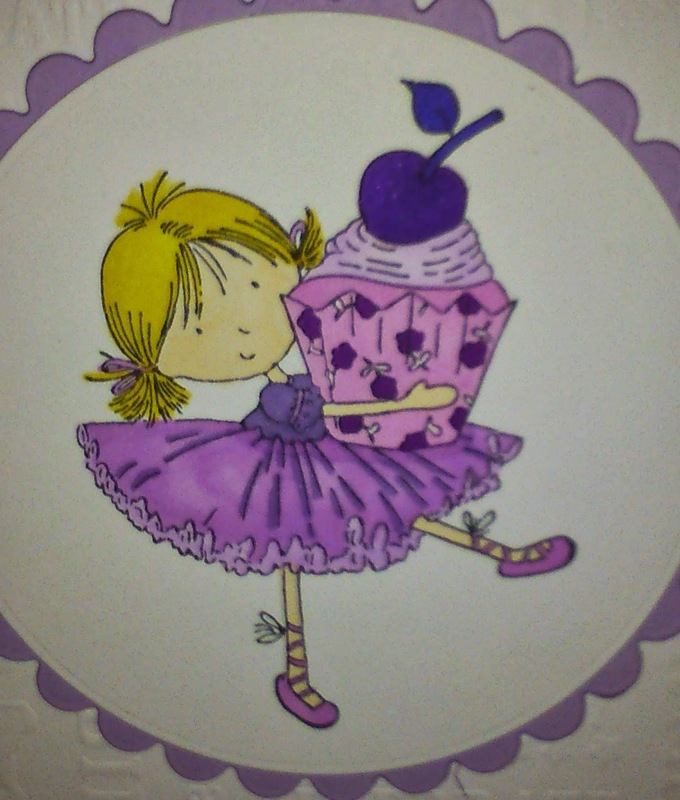 This little princess is called 'Cherry on Top' and she is wonderful for lots of occasions. 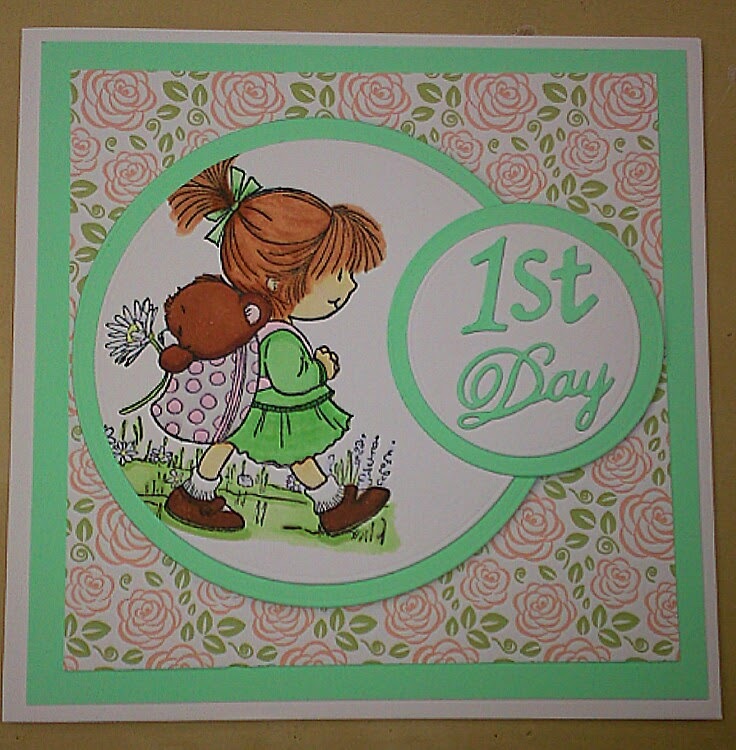 I used a circle and scalloped circle to cut the image out and mount it onto a lilac background. 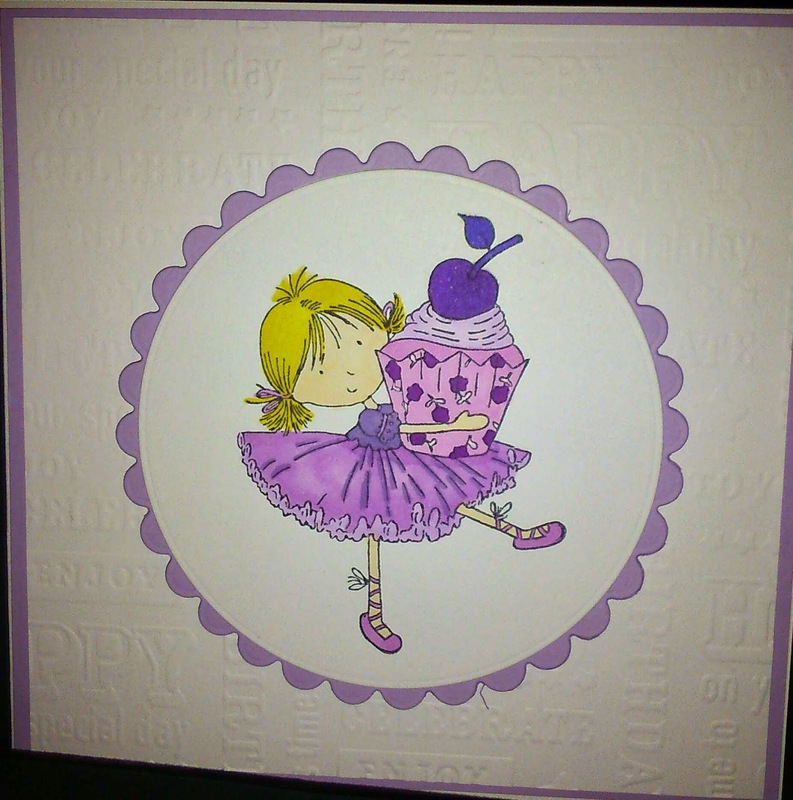 The background consists of a piece of lilac card and a piece of white card embossed using the Embossalicious 'Birthday Text' embossing folder. I apologise for the pic but it was very difficult to get a decent picture of the embossing. mottled effect on the wings. I then went around the outside of the wings with a crystal stickles. 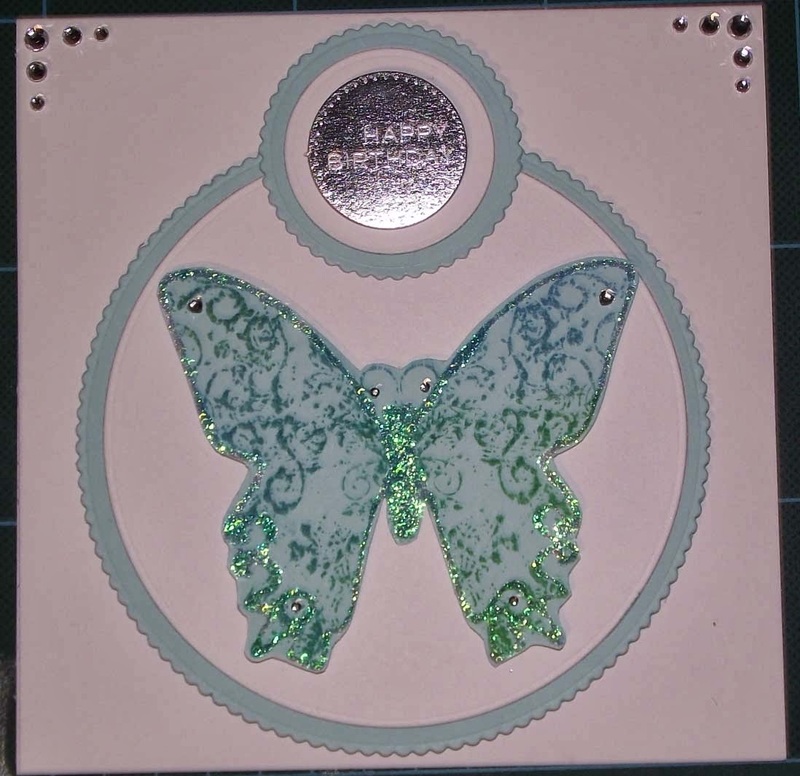 I then used my Tonic dies to cut a plain white circle and a scalloped blue circle to put the butterfly on and two smaller circles to put the little silver greeting on. To give it a little bling I added 5 silver gems to each of the top corners.